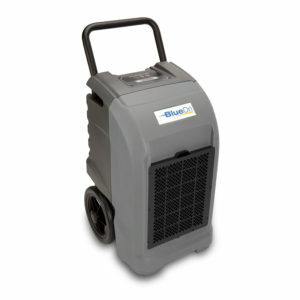 As a water damage restoration professional, you need equipment you can count on to perform day in and day out. 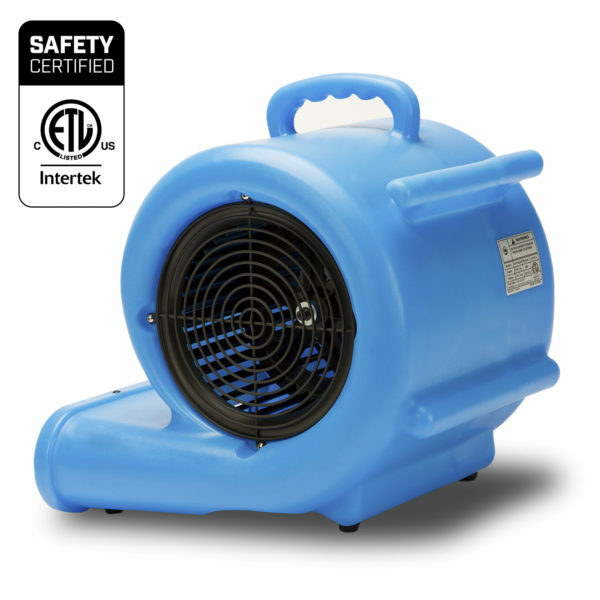 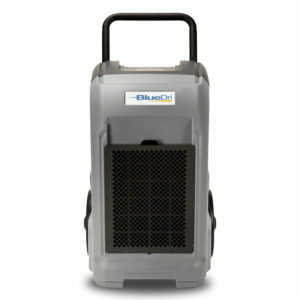 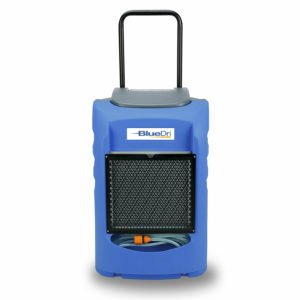 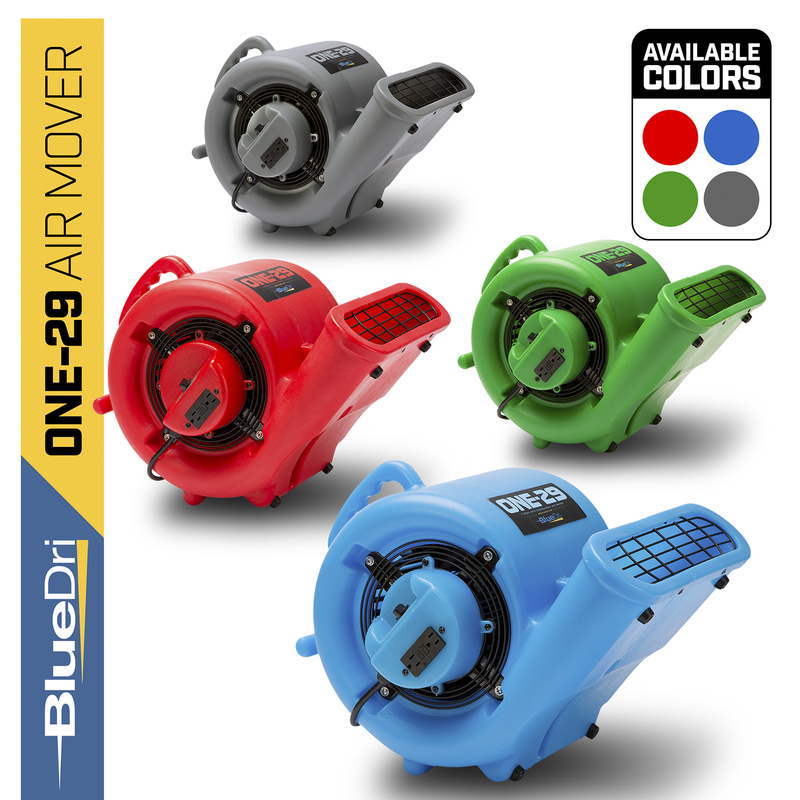 At BlueDri™, we offer a range of quality, durable water damage restoration products that deliver this dependable performance — products like the ONE-29 Air Mover from BlueDri™, available in blue and other colors. 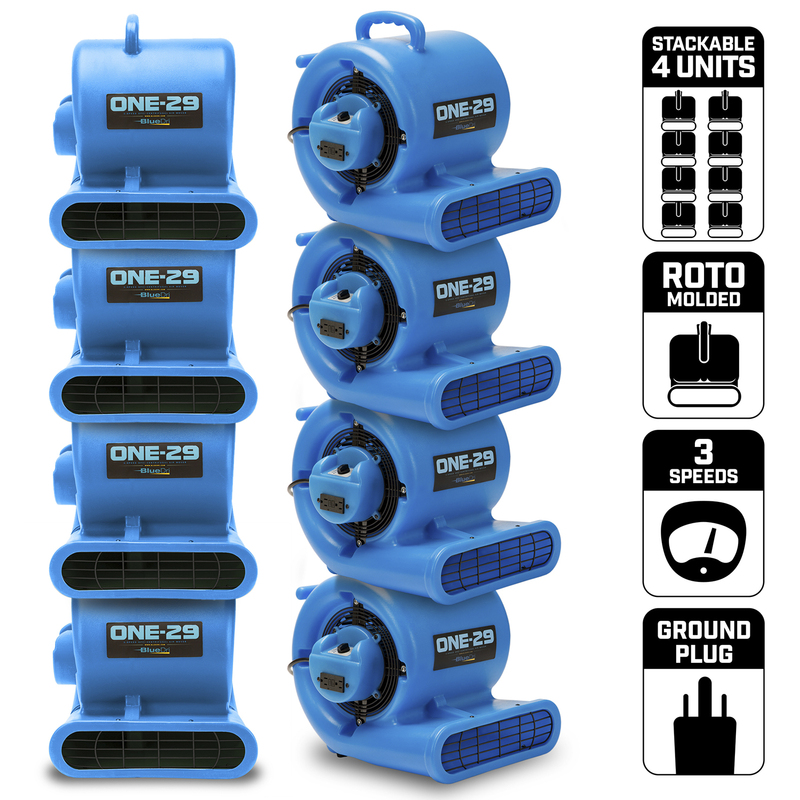 The ONE-29 uses a 1/3 HP motor and 2900 CFM performance to run at three different speeds and in three different blowing positions — maximizing its versatility and ensuring it’s helpful on jobs of all kinds. 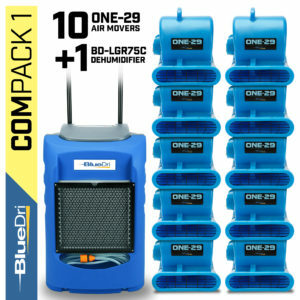 You can daisy chain up to four units together for the biggest jobs, and stack up to three units for safe transport or secure storage. 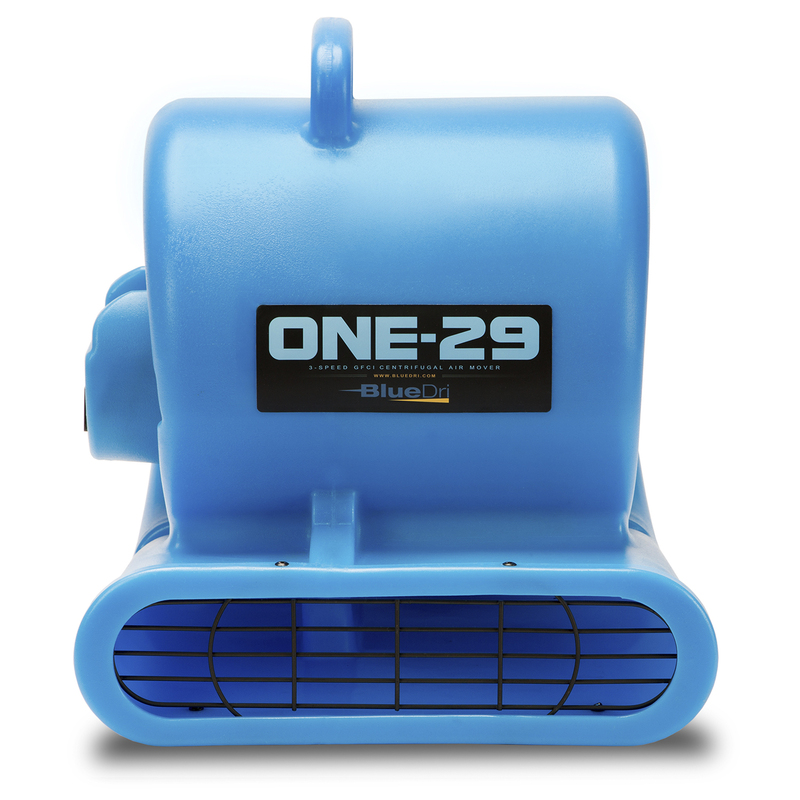 At 26 pounds, the ONE-29 Air Mover is easy to carry and maneuver, too, even if you’re working by yourself. 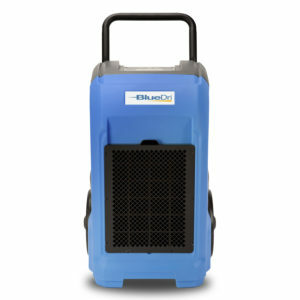 Its compact size makes it ideal for setup in hard-to-reach spaces like inside closets, attics and crawl spaces. 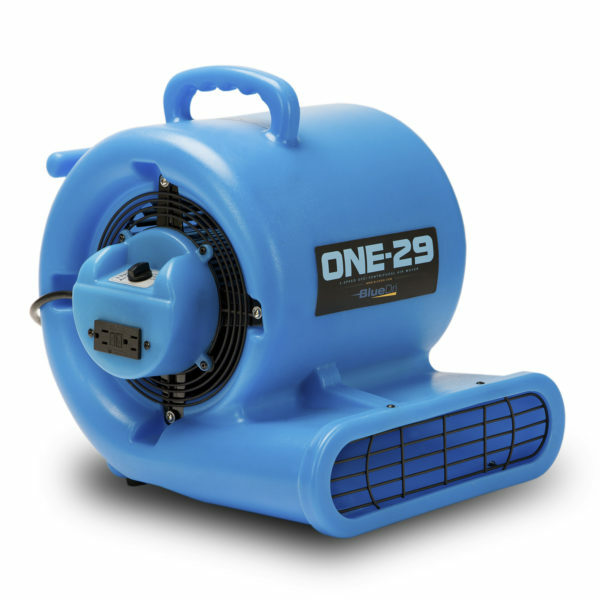 Leave overnight for consistent and dependable air moving, because you never have to worry about the ONE-29’s dependability. 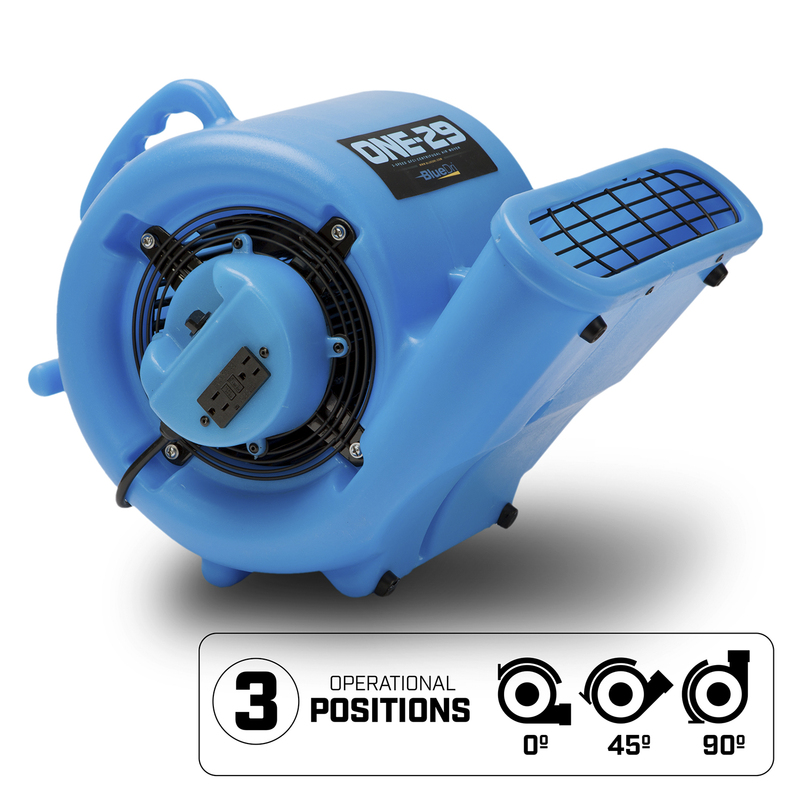 A highly durable, roto-molded plastic housing protects the ONE-29 and makes it perfect for use in rugged commercial and industrial environments. 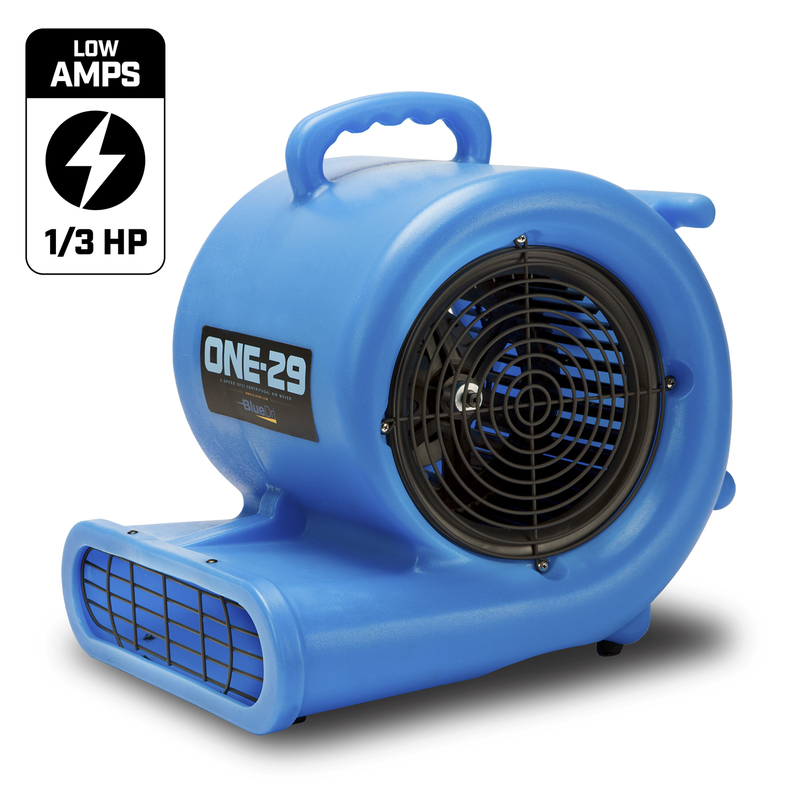 For additional convenience, take advantage of this unit’s 25-foot power cord and cord wrap.